After facing the reality of being placed under hospice care, Rebecca Burg, author and artist, was strongly compelled to share an aspect about her life few had ever known. "If I don't share this information now, it'll never be shared." Naples, FL, February 08, 2018 --(PR.com)-- "This is a very positive thing, and not grim despite the circumstances," Rebecca says. After facing the reality of being placed under hospice care, Rebecca Burg, author and artist, was strongly compelled to share aspects about her life few had ever known. "If I don't share this information now, it'll never be shared." Diagnosed at the age of 46, Burg battled breast cancer and powered through over two and a half years of sometimes harsh treatments before deciding she'd had enough. "The cancer was too aggressive, but I'm at peace with this. I just have to share some things in the interest of benefiting others." Rebecca wrote two ebooks, available permanently free, with poignant messages about family, childhood abuse, forgiveness, and her indigenous ancestors' beliefs regarding human spirituality and the afterlife. "Like many cultures, my relatives were assimilated into dominant society, their original beliefs mostly forgotten." But Rebecca refused to forget and had spent a lifetime exploring subject matter that usually garneres ridicule or disbelief in modern social circles. "I'm not trying to change anyone's beliefs, only share and enrich people's base of knowledge. The spirit world, psychic ability, reincarnation and the afterlife, extraterrestrials; these were normal things from my Siberian cultural heritage. But these mystical and paranormal themes can be awkward subjects in today's society," Burg says. "Also, no one knew that I'd grown up with an abusive, alcoholic father and this is so typical of kids in dysfunctional families. It's taboo and kept hidden from the public, so the kids suffer the effects well into adulthood." She hopes her writing will help others struggling to heal from similar family situations, and shed light on the serious and uncomfortable subject of alcoholism and child abuse. Rebecca Burg's two free ebooks, "Wild Shores," and "The Spiritual & Paranormal Realms," are available at Smashwords. Rebecca also has several other books, both in print and Kindle Ebook format, on Amazon. 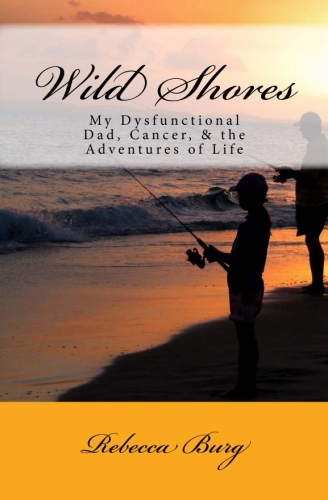 Proceeds from sales of her books benefit cancer patients and others facing serious illnesses.